Vendor managed inventory (VMI) means just that, vendors manage product inventories at their own site or at customers’ locations. When managing inventory at customer locations, VMI provides vendors with visibility of inventory levels. The vendor monitor inventories in real time; as inventory is depleted, vendors have the flexibility to determine the ideal time to run, as long as the minimum inventory levels are maintained. In other arrangements, agreed upon re-order points are established. In this scenario, the vendor produces new product when the inventory reaches specified re-order levels. 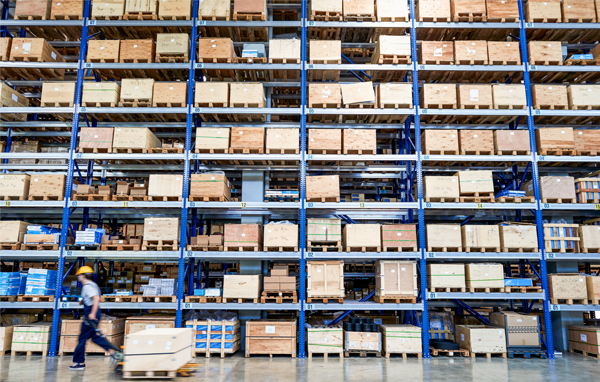 When space constraints exist, managing inventories at the vendor might be the best option. In this model, the vendor stores and manages inventory at their location. In addition to eliminating the need for storage space at the customer, the vendor is able to control the amount that is run to optimize their schedules and space. Run sizes can be increased to gain efficiencies and reduce per carton costs. Besides lower costs, storage of finished goods provides for immediate turn-around times and eliminates stock-out situations. This creates additional space at the customer's location, as they only take only what is needed, yet benefit from the cost advantages from larger runs. Not sure which option is best for you? Our vendor managed inventory (VMI) solutions are flexible and tailored to meet each customer’s unique business needs. Our packaging consultants are ready to assess your requirements and recommend the optimal solution.